This is a short break of 3 nights, which covers the final few days of the final stage of the Pilgrimage Route of Saint James. This walk divides the distances equally with approx. 12.5 miles covered on both of the walking days. The last night before arriving in Santiago is spent in Rua. This is a short break of 3 nights, which covers the final few days of the final stage of the Pilgrimage Route of Saint James. This walk divides the distances equally with approx. 12.5 miles covered on both of the walking days. The last night before arriving in Santiago is spent in Rua, just outside Arca O Pino. 3 nights accommodation in family run hotels in rooms with private bathrooms, 3 breakfasts, 2 dinners (dinner not included in Santiago where there is a wide choice of restaurants). Luggage transfers between hotels, maps and route notes and back up if required. Arrival: From Santiago de Compostela – take a bus to Arzua (this bus also stops at the airport but you are not guaranteed a place and it is sometimes full by the time it arrives. By Air: Flights to Santiago from many places including London Stansted and Dublin, from where we can arrange a taxi to Arzua. The airline Veuling has daily flights from London Heathrow to La Corunna. In order to qualify for the pilgrim passport you need to walk the last 100km of the route. If you only walk from Arzua then you do not qualify. 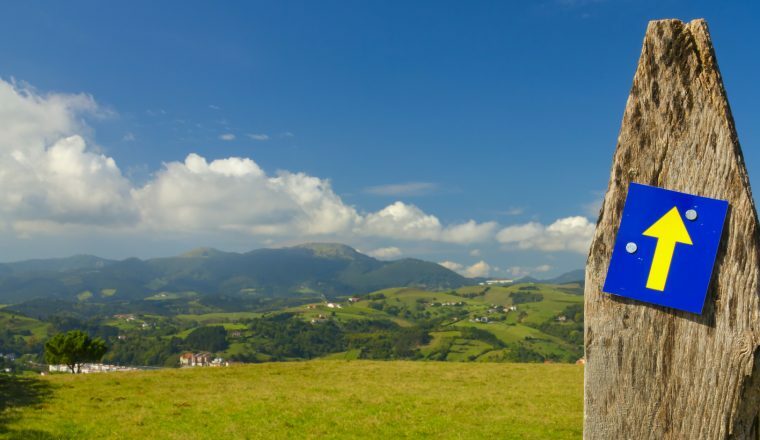 Walk Arzua – Rua 12.5 miles/20kms.The route continues to Rua, just outside Arca do Pino, where you will spend the final night before the final section of the walk into Santiago – making the walk today only 12.5 miles, with the same distance to cover in the morning to Santiago. Walk Rua – Santiago 12.5 miles/12kms. The last day’s walk takes you directly to Santiago, where – if you leave early enough, it is possible to reach the Plaza de Obradoiro and enter the Cathedral by midday when the pilgrims are blessed. Overnight Santiago (dinner not included).